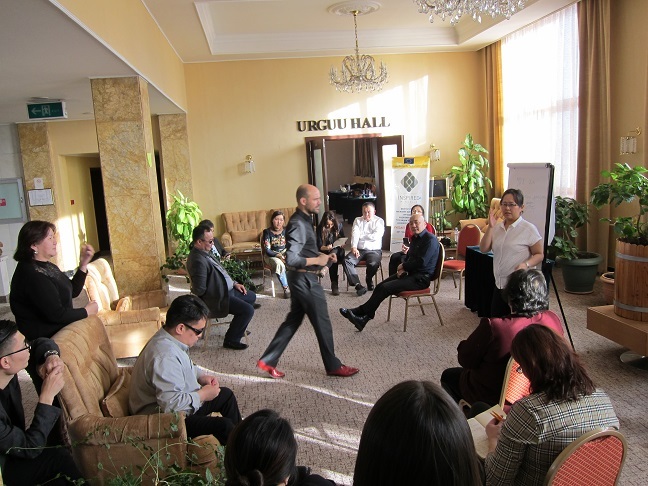 On 9 and 10 January 2018, the Netherlands Institute for Multiparty Democracy (NIMD) and the Mongolian NGO Teghs Niigem held a successful 3-day training course on multi-stakeholder policy dialogue in Mongolia. The training courses are conducted in all 9 INSPIRED+ countries, to strengthen the skills and ability of both facilitators of, and participants in, policy dialogue. Some of the topics of the training course are key concepts of dialogue, consensus-building, behaviour and attitudes that are conducive to finding compromises, dialogue facilitation, dialogue design and management. 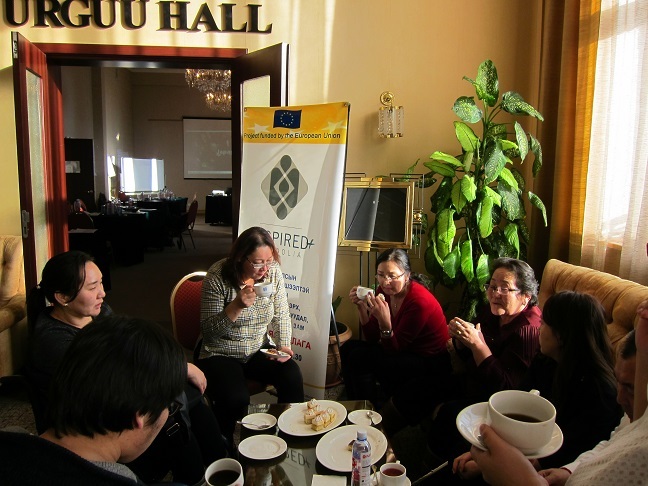 The INSPIRED+ project in Mongolia focuses on economic rights of people with disabilities. NIMD was therefore happy to welcome some people with disabilities at the training session, as they are directly affected by the policies under discussion. Other participants included stakeholders from regional and national Civil Society Organisations (CSOs), the opposition party, the ministries of labour and social protection, the trade union and the employer’s association. Participants expressed strong support for the dialogue process, as well as deep gratitude for the training course. Some participants stated they were happy to have strengthened relations with other stakeholders and gained a better understanding of policy dialogue as an effective strategy for ensuring that their constituencies’ rights are respected.